At Koloa Landing® Resort, you’ll enjoy much more than our beautiful private Kauai beach villas and our picture-perfect surroundings. You’ll also be able to make use of all of our world-class amenities and features, such as our spa, fitness center, our proximity to the famous Poipu Beach, and our two amazing resort pools. Of course, you’ll also be able to use our concierge to help you plan your island adventures, and squeeze every drop of fun and excitement intro your vacation that you can handle. Here are just a few of the ways that our concierge can help you during your stay. It can be difficult to sort through the many different companies who offer excursions and adventures on the island, and it can be even more difficult to find the best ones to meet your needs. Koloa’s concierge will help you coordinate with the perfect local companies, offering the exact types of adventures you’re looking for, with the matching schedule and details you need. We’ll handle all of the planning and legwork so that you can schedule and plan adventures and excursions all across the island for your dream vacation. One of the many benefits of working with our concierge is that you’ll be able to take advantage of the special discount rates we’re offered for many popular adventures. Other local companies know that if they provide discounts to us, and we believe strongly in their services, that we’ll recommend them to you, our valued visitors. So when you book through us, that savings is passed down, and you can keep that budget intact during your stay. 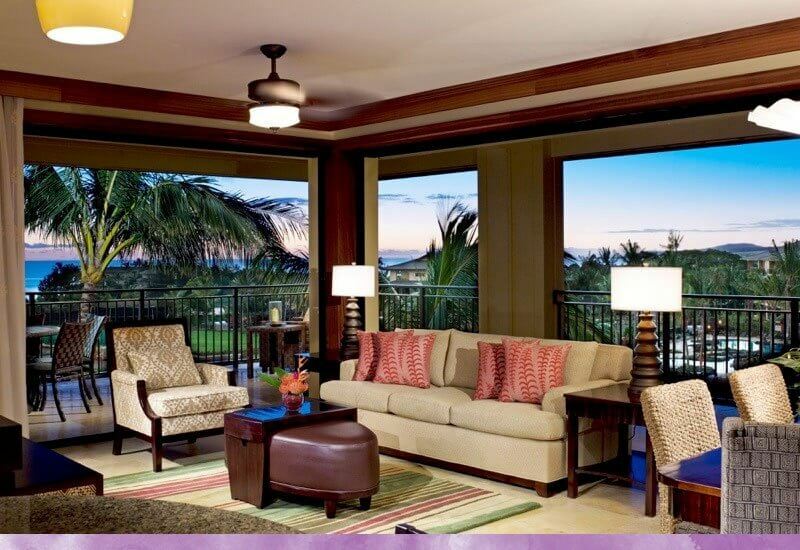 Our concierge has deep knowledge of the island of Kauai, the different companies, and the different opportunities. That means we’ll be able to recommend the absolutely best options to match your preferences and your needs. Not sure which company to choose, or which excursion might be more to your liking? We’ll help you narrow down your options, and make the most of your time, whether you’re staying with us for a few nights, or a few weeks. When in doubt, trust a local expert to guide you in the right direction instead of guessing and simply hoping for the best. So please feel free to make use of our concierge and related guest services during your trip to Koloa Landing® Resort. Many of our guests love nothing more than to lounge at the beach or at the pool all day long, but when you want to experience the rest of the island too, we’ll be happy to provide all the help you need. Contact Koloa Landing® today or give us a call at (888) 317 – 0205 to book your stay or inquire about our concierge services.